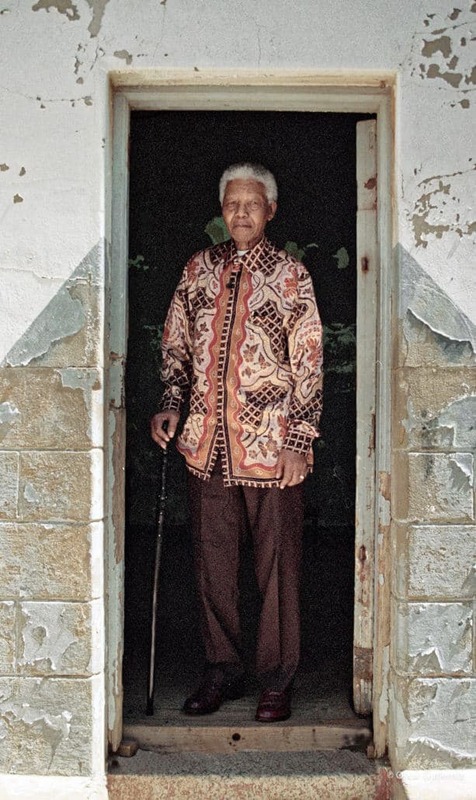 In celebration of the centenary of Nelson Rolihlahla Mandela’s birth, ART AFRICA looks to the photographs of Oscar Gutierrez who captured South Africa’s transition to democracy. Originally from Guatemala, Gutierrez arrived in South Africa in 1994 as a photojournalist on assignment, and never left. He has covered and captured events in politics, arts, culture, religion and social moments – developing an immense archive of significant moments in South Africa’s contemporary history. 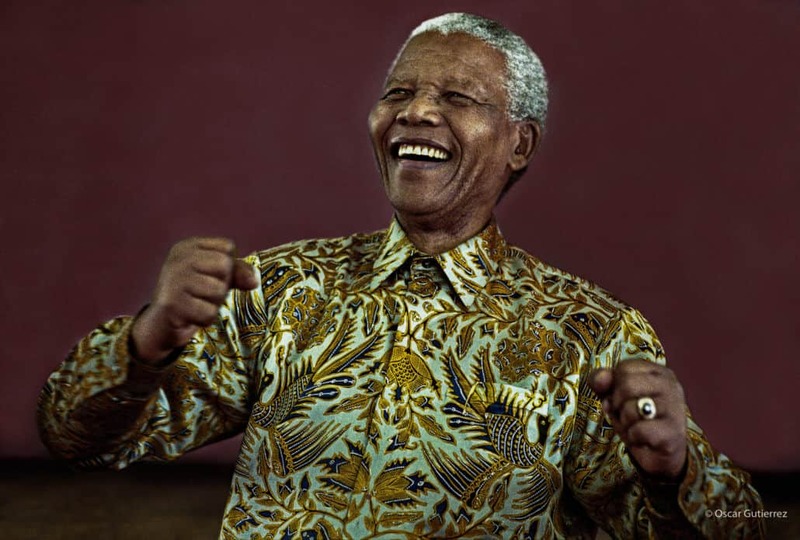 One such moment was South Africa’s transition to democracy, and Nelson Mandela’s role in it. We look to a number of Gutierrez’s photographs, which were recently up on exhibition as part of ‘Iconic’ at Upstairs@Bamboo, Melville, Johannesburg. Nelson Mandela dancing, Soweto 2000. © Oscar Gutierrez. Image courtesy of the photographer. 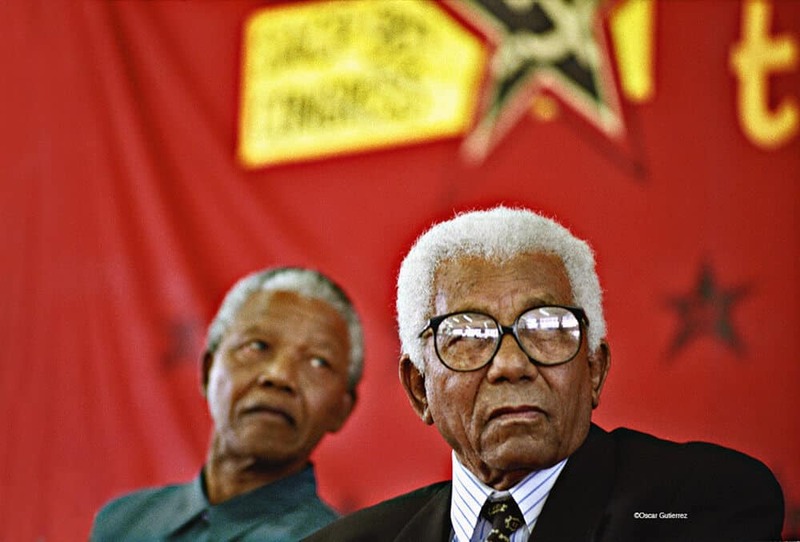 Nelson Mandela and Walter Sisulu at a South African Communist Party (SACP) conference. © Oscar Gutierrez. Image courtesy of the photographer. 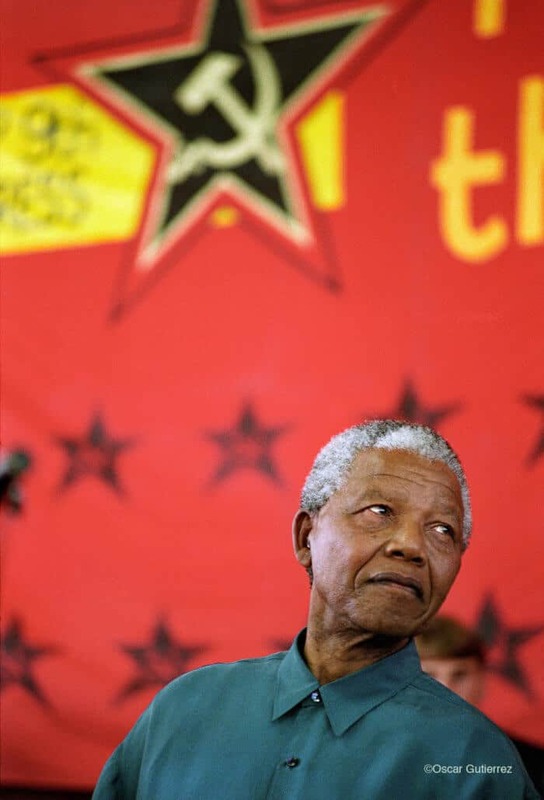 Nelson Mandela at an SACP conference. © Oscar Gutierrez. Image courtesy of the photographer. 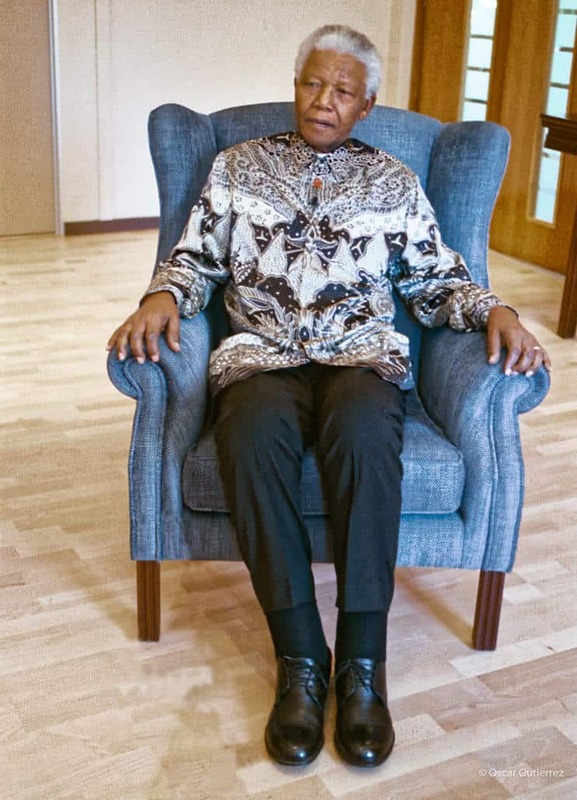 Mandela in his blue chair at the Nelson Mandela Foundation, 2003. © Oscar Gutierrez. Image courtesy of the photographer. Nelson Mandela. Constitution Hill, the site of Johannesburg’s notorious Old Fort prison complex. © Oscar Gutierrez. Image courtesy of the photographer. 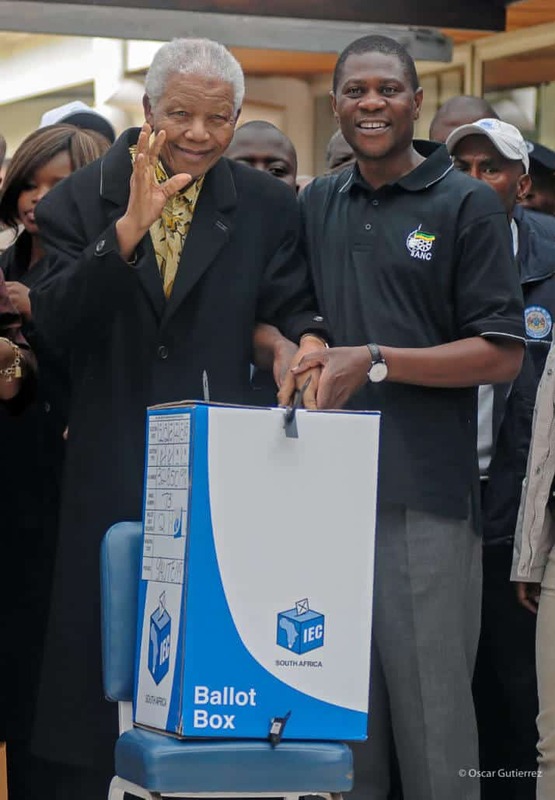 Nelson Mandela and Paul Mashtile at Houghton Golf Course, 2009. © Oscar Gutierrez. Image courtesy of the photographer. 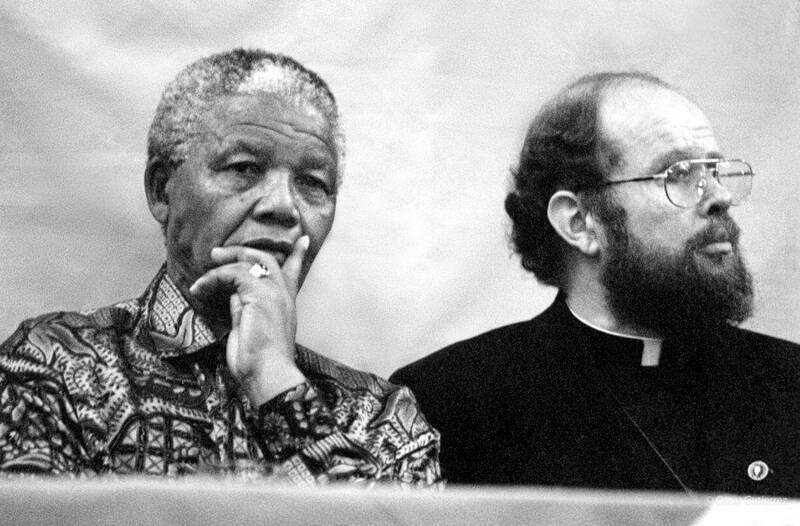 Nelson Mandela with Father Michel Lapsley, 1996. © Oscar Gutierrez. Image courtesy of the photographer. 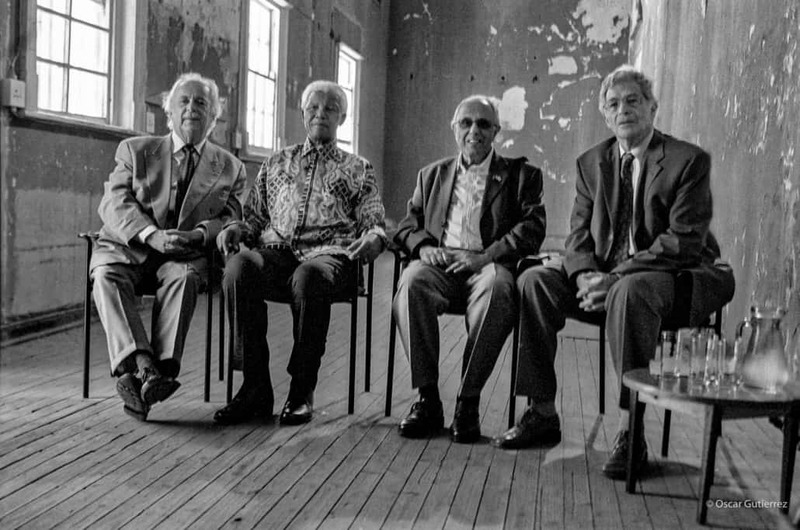 George Bizos, Nelson Mandela, Ahmed Kathrada, Arthur Chaskalson at Old Ford prison complex, Constitution Hill, Johannesburg. © Oscar Gutierrez. Image courtesy of the photographer. FEATURED IMAGE: Nelson Mandela dancing, Soweto, 2000. © Oscar Gutierrez. Image courtesy of the photographer. Wolfgang Tillmans is Touring Africa!